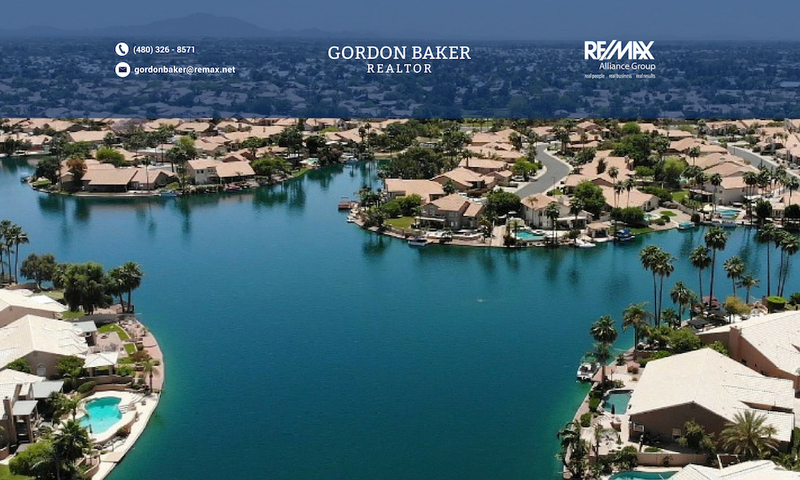 Val Vista Lakes is one of Gilbert’s premier lake communities with a multi-million dollar clubhouse that includes a sand beach swimming pool, tennis courts, and the many baseball fields throughout the subdivision. It is also minutes from the US60 freeway and has an elementary within it’s boundaries. Dana Park shopping center is less than a mile away and one of the nicest outdoor shopping malls in the Phoenix area. Whenever you look at homes in Val Vista Lakes, it is extremely important that right after you see the house, stop by the clubhouse and community center. For those interested in keeping fit, a cardio room and raquetball courts await you. Don’t forget to visit the outside tennis courts. Once you make your way through the club house, it opens up to 2 community pools. One of them reminds you more of the beach while the other is a traditional lap pool. If you’re looking for a community that has plenty of amenities within the community, Val Vista Lakes should be high on your list. Picture yourself living the lifestyle you're dreaming about in this hard to find, single story Val Vista Lakes home. As you walk through the front door, the sense of home envelopes you with inviting light and bright spaces, vaulted ceilings, and expansive tile floors. Imagine yourself curling up in your favorite chair in the front room to read a book or sitting in front of the fireplace with your favorite someone. Whip up a meal to remember in the large open kitchen while your guests join you at the over sized island bar. The fun continues outside as you float endlessly in the sparkling pool or turn your backyard into THE gathering place for family & friends for an enjoyable evening under the twinkling lights of the gazebo. Owners already moved, motivated to sell! Beautiful updated home in desirable Val Vista Lakes neighborhood! Newly renovated 5 bedroom and 3.5 bath home features family and dining room with magnificent soaring ceilings, living room with wood burning fireplace, downstairs bedroom with attached full bath, 4 bedrooms upstairs including one with a walk-out to the spacious balcony, and a full master with large bathroom, double vanity, and walk-in closet! The kitchen features white cabinets, upgraded granite slab counter tops, all stainless steel appliances (fridge included! ), recessed and pendant lights, and a window-lined breakfast nook! All full bathrooms feature brand new wood plank tile floors and matching upgraded granite slab counter tops! Come see your New Home on New Bedford! You're going to love this 3 level home in the Spinnaker Bay neighborhood of Val Vista Lakes. The floor plan features 5 bedrooms, 3.5 bathrooms, 3275 square feet and has multiple living and dining spaces. This home checks a LOT of boxes! Pool? Check! Basement? Check! 3-car garage? Granite Countertops? Plantation shutters? Check, check, check! Several upgrades throughout solidify the home as a sound investment including several brand new windows, solar water heater and a new DE pool filter. You'll love the warmth of the two wood-burning fireplaces, the basement features a gorgeous wet bar w/ kegerator to make sure your sound investment is also a fun place to live! One year warranty offered w/ full price offer from Super Home Warranty for peace of mind.